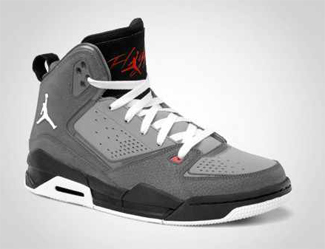 After hitting strides with their earlier releases of this shoe, Jordan Brand is looking to make waves once again this August 2011 with the release of the “Stealth” edition of the Jordan SC-2, which is tagged as one of the best offering from JB this year. The Jordan SC-2 is set to hit shelves once again this month in Light Graphite/White – Stealth – Varsity Red colourway, which looks very cool and appealing because of the color combination and with the graphite cement print side panel. The new Jordan SC-2 will be available anytime this month at a very affordable price so start saving money now and watch out for it! Jordan BCT Low “Summer Edition” Hit Shelves!